Recently I made my "Python for Testers" course publicly available. 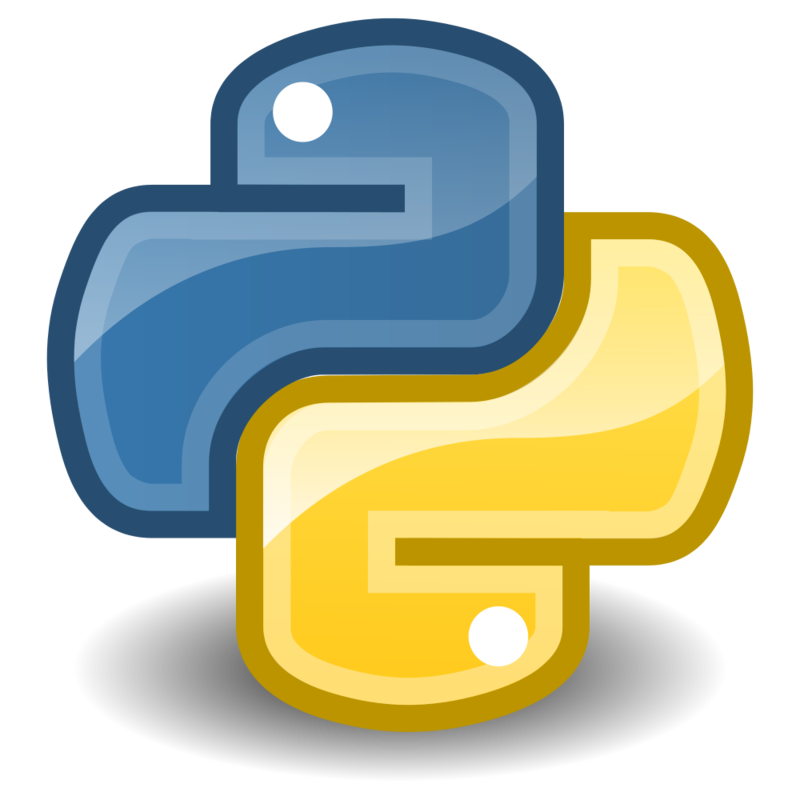 The reason being I want to show testers just how easy Python is to get started with and the cool stuff you can do with it. One of those things is generating test data. You know the thing most of us have a guilty conscience about. 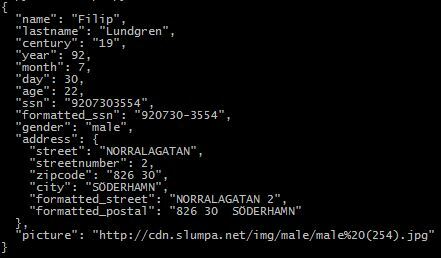 Earlier today I saw Ulrika Malmgren (@Ulrikama) tweet about a swedish site "www.slumpa.net" (which translates to "randomize" in Swedish). The site offers to generate a random person for you with social number, name, address, much more, and even a pretty picture of the person! So naturally I had to try their API using Python. It only takes three lines of code to retrieve the data, but I added a fourth to print some of the data as well. It even fits within a tweet! For this code I used two libraries: "requests" and "json"
If you're going to do any type of HTTP requests, I strongly encourage you to look into "Requests" for Python, one of the best libraries for this type of things out there (I have upcoming posts about using requests and Python). Requests is not part of the standard library but it's a snap to install it, and if you don't know how to, then look at the end of this article. I also used the json library found in the standard library. Which gets me the data (a JSON data blob) from the URL provided, in this case the API exposed by the site. After that I use the JSON library in Python to take the data in the response and transform it into a JSON-object. And as a final touch I print some of the fields returned in the response. This code can then be used in your test data generating scripts to retrieve some random persons data, and as an added bonus it's a swedish person and not a standard-plain english type of person, so you might end up with some tasty "åäö" letters and other stuff to test your system. You have different options when installing this library ranging from using "pip", "easy_install", or just downloading the source code and building it. The instructions on how to install requests can be found here, along with some caveats and other stuff.